The Signature name says it all. Vermeer introduced the “One-Man Hay System" in 1971 to help farmers and ranchers get the job done. The 504R Signature baler advances this legacy by giving the working man a baler for any operation. 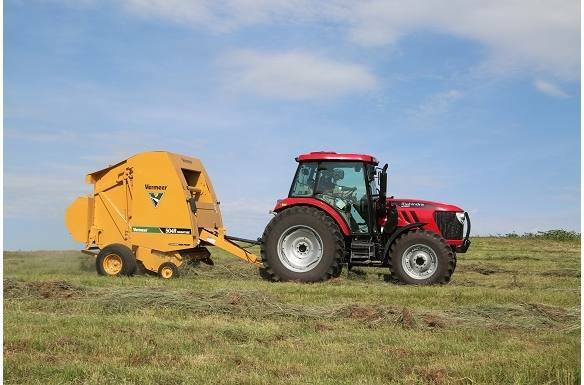 Designed for producers who harvest primarily dry hay but also want the ability to bale silage when the weather isn't on their side. 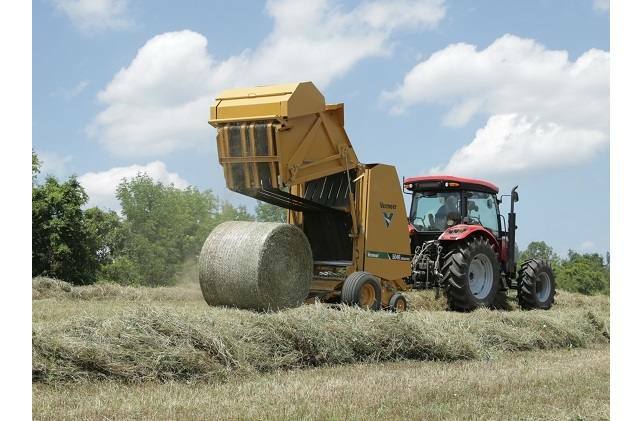 It is built upon the three signature pillars of Vermeer balers — convenience, ease of use and durability. 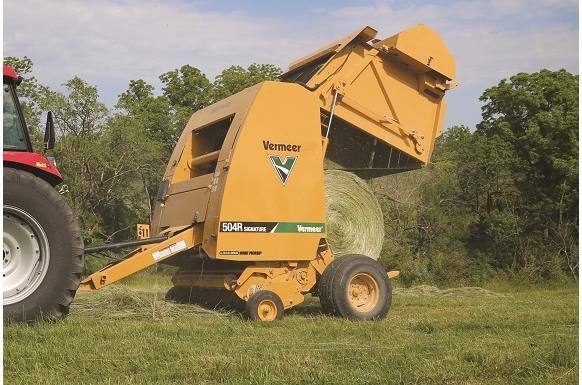 The Vermeer 3-year pickup warranty covers the internal components and includes parts* and labor on the 504R Signature baler. Operators can rest assured the pickup is backed by Vermeer parts and service. 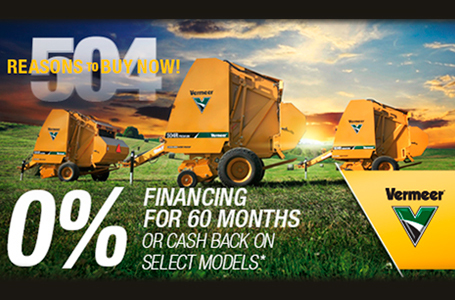 See your Vermeer dealer for details. *Does not include teeth of hardware for teeth. A camless wide pickup with no cam tracks or follower bearings allows for smooth, quieter operation (minimal squeals or noises) compared to previous models. This durable, 5-bar pickup is equipped with steel teeth for baling tough or heavy crops and features fewer moving parts to help reduce maintenance and prolong the life of the machine. 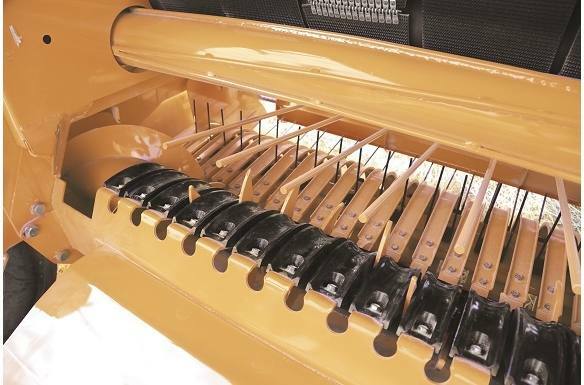 A 5-bar, camless wide pickup features more total tines to gather the crop for big feeding capacity. This helps minimize the wear on each individual tine and more importantly provides a more efficient, positive start of the crop into the bale chamber. More tines can also equal more crop picked up in the field. 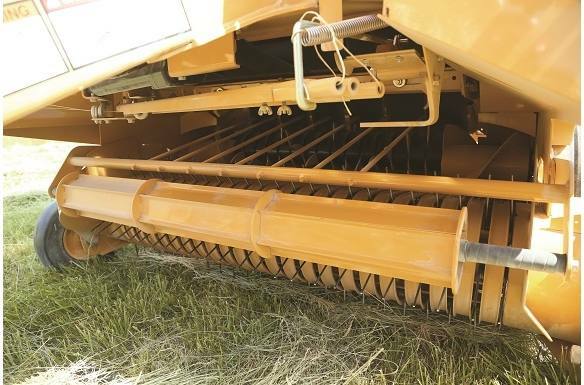 An aggressive rotor creates positive bale starts while the auger and feeding system forces crop onto rotating belts and then into the chamber for bale formation. Together, along with the camless wide pickup, this forms square shouldered, dense bales. 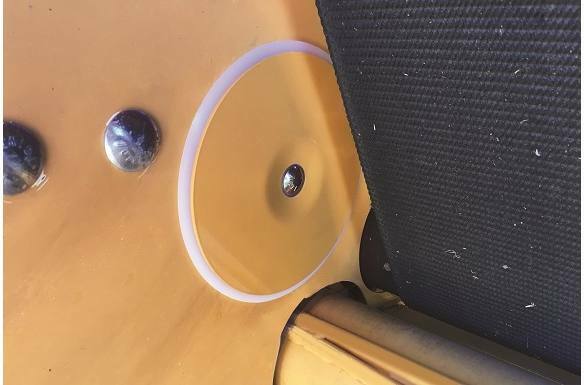 Real-time moisture sensors come standard on the 504R Signature baler and provide moisture readings via the Atlas™ Control System, giving operators access to real-time moisture information in the tractor cab. An optional hydraulic pickup lift provides convenience for operators switching between multiple fields in a day, eliminating the extra trips in and out of the tractor. Available hydraulic controls allow the operator to easily lift and lower the pickup without getting out of the cab to make sure pickup teeth aren't scraping the ground. The durable drive train handles starting and stopping during operation. 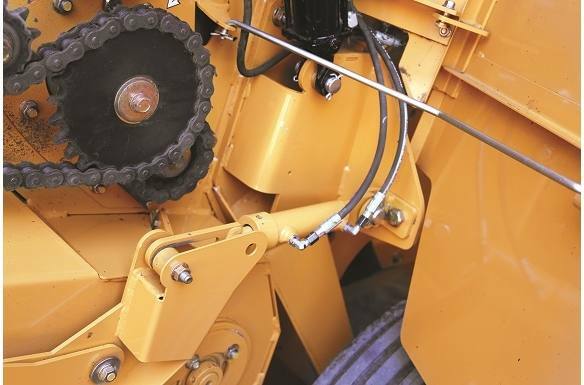 The three main drive chains are made with 80 diamond chain to minimize chain maintenance. The upper and lower drive bearings have a 33 percent higher load rating while the clutch's maximum torque rating is 32 percent higher than on previous models. 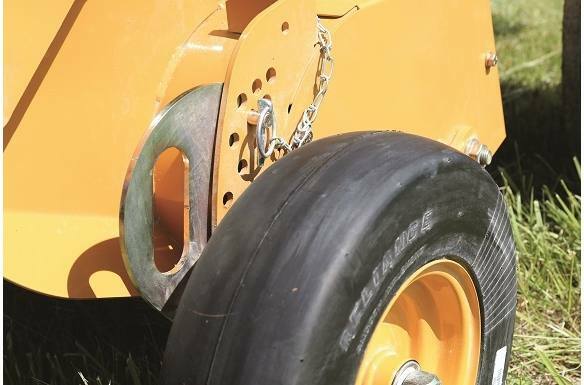 Durable parts allow operators to efficiently bale dry or wet hay.